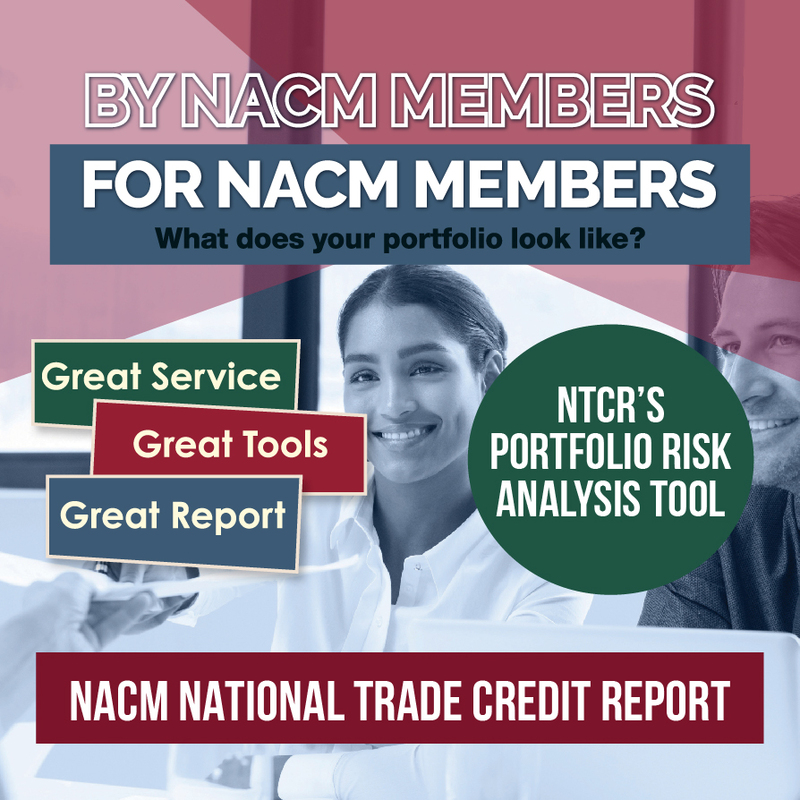 Over the years, the National Association of Credit Management Honors and Awards have become an important mechanism by which we recognize our colleagues for the outstanding efforts they have made on behalf of the credit profession. Below find out more about our Honors & Awards Program. Do you know anyone working in the field of credit management whose professional life displays unquestioned integrity, outstanding and meritorious service in the field, and ongoing dedication to the highest standards of the credit management profession? Click below to nominate a special credit professional. Nomination period ends February 1, 2019. Leaders help set a direction, build an inspiring vision and create something new. Leaders guide you where you need to go to be successful as an organization in an efficient and positive manner. As an organization grows, it looks to new volunteers to step into the leadership roles that help define the next stage in its evolution. It looks to those with vision, strength of purpose, intellect, energy, ethics, a commitment to serve and a determination to persevere for the greater good of the organization. Our emerging leaders may already be vocal and recognized figures locally or may be quietly cultivating ideas and insights that will one day guide the direction of their companies, our local affiliates or our national board. NACM is looking for these budding leaders to share their vision, inspire us with their force of purpose and astound us with their insights. Now is the time to stand up and be heard. We are eager and excited to listen. NACM has created a new award category to recognize our emerging leaders. Candidates for this award must complete and submit an essay for consideration. The award recipient will have their essay or excerpts of their essay published by NACM. The recipient will also be interviewed by NACM staff writers for acknowledgement and will receive an invitation to and be recognized at the annual Leadership Luncheon at Credit Congress. A complimentary registration to the 2019 Credit Congress will be presented. - Be willing to present or lead a session at Credit Congress in 2019 based on the content of your essay. NACM will help you develop the direction of the presentation. - Must agree to allow your essay or excerpts of your essay to be published in Business Credit magazine or through another means as determined appropriate by NACM. Write a 500-1,500 word essay about the critical role that business credit plays in today’s business economy. Whether it’s through strong relationships with sales and customers or the guidance that credit departments across the globe share with management, business credit matters. We’d like to hear your thoughts about the role business credit plays. In February 2010, a revered leader and visionary within NACM, O. D. Glaus, passed away. NACM can think of no better way to both memorialize and honor O.D. than to continually identify and honor those that reflect his vision, energy, commitment and love for the credit profession. Therefore, in May 2010, the National Honors & Awards Committee, with an endorsement from the National Board of Directors, renamed the National Credit Executive Award the O.D. Glaus Credit Executive of Distinction. As with the National Credit Executive Award, the O.D. Glaus Credit Executive of Distinction seeks to acknowledge exemplary professionals within the field of credit. The nomination criteria have been honed to seek those that emulate O.D. 's legacy. The award will be bestowed annually in tribute to O.D. and to recognize remarkable professionals within the NACM organization. The Designation of Excellence Awards were created to honor designation holders at three distinct levels: the CBA, CBF and CCE. Each honoree must have an unrelenting pursuit of excellence through enhanced and improved knowledge. Equally important is the desire to share that knowledge through speaking, teaching or mentoring. NACM’s Graduate School of Credit and Financial Management acknowledges an outstanding participant each year in its Student Leader award (formerly the Best Student award). This award memorializes one of NACM’s great leaders, Alice M. H. McGregor, CCE. In her honor, this highly prestigious award recognizes creative approaches and consistently high performance by credit practitioners that benefit the recipient’s company, affiliate, the national organization and the business credit profession. Alice M. H. McGregor award recipients serve as role models; they are leaders rather than followers, set standards for others, and apply their professional expertise outside of their companies. You need only to look at Alice’s vast and reaching accomplishments to understand what embodies this award: Alice was educated at Edinburgh Business College and the London Graduate School of Business. She was the first woman to receive the CCE designation and graduated from NACM’s Graduate School of Credit & Financial Management in 1978. She joined Puget Sound Salvage & Equipment Company in the credit department, and by the time it became known as Pacific Industrial Supply Company, she was a co-owner. Ultimately, Alice became the President of Pacific Industrial Supply Company. She was well known for her dedicated service within her local Affiliate, NACM Business Credit Services in Seattle, Washington, where she was a member for 29 years. She served in many volunteer capacities, including Chairman. She led many seminars, sharing her knowledge and expertise, and was a mentor to everyone she knew. In 1985, NACM Seattle honored her as their Credit Executive of the Year. Click below to view the past years recipients by award.